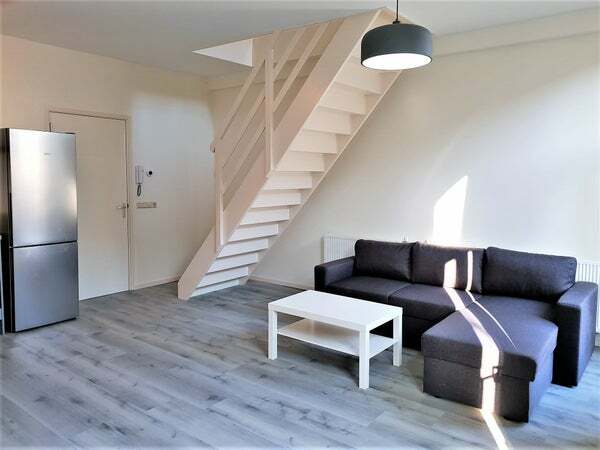 In the charming Plantagebuurt (City Center) and diagonally opposite Artis we offer this completely renovated 2 room apartment (approx 70m2) for rent. The apartment has a view of the beautiful Plantage Kerklaan. The apartment is very light because of the large windows with very high ceilings. The building is very nicely located in the Plantagebuurt, a green and quiet part of the Center, near the Amstel and Artis. In this quiet part of the center there is a generous supply of shops, cafes and restaurants. Also close to public transport and the roads. Rent: € 1.650, - excl. gas / electricity, tv / internet and local taxes.